Jeri Smith-Ready: BONUS Superfan activity! 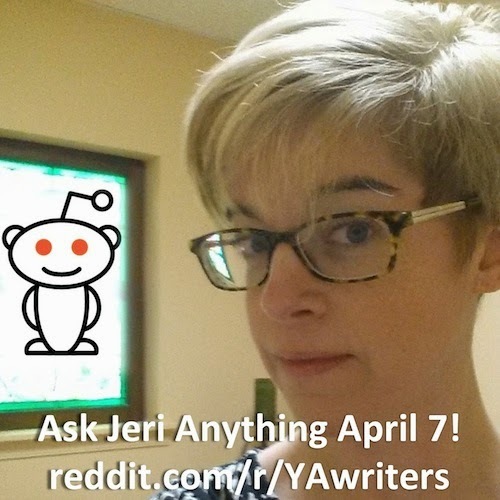 Today I'm doing an AMA (Ask Me Anything) over at Reddit's YA Writers group. Please come and ask me questions about, yes, ANYTHING you like. You must register on the site to post a question or comment, but it only takes about 10 seconds to sign up. AND...you can help me spread the word by sharing the above image on your social networks just as you would the This Side of Salvation Superfan daily trading cards. Those who do this today will be entered into a special bonus daily drawing (for a free book and a $10 bookstore gift card) as well as earn points toward the Superfan grand-prize drawing! For Superfan contest details, including rules and prize list, see this post. Please use the entry form below for the AMA image only. It contains helpful instructions on how to link to your posts. For today's Superfan trading card (which will post at 9am), please use the usual entry form.